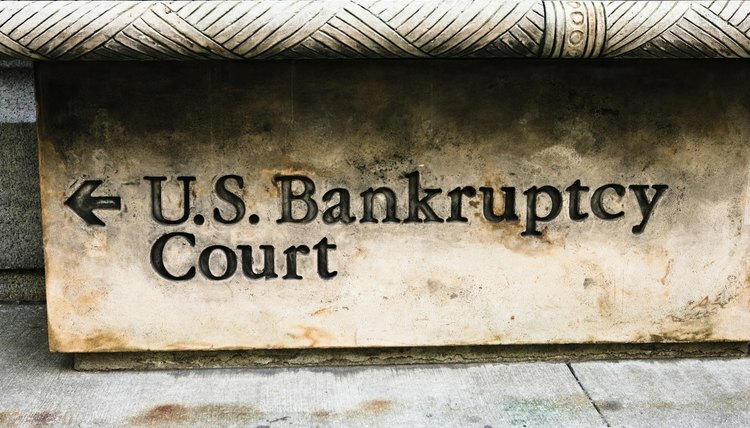 According to the Bankruptcy Code, you must determine whether you are eligible before filing for Chapter 7 bankruptcy. For example, you must either make less than the median income for your state or satisfy the means test. The means test evaluates your income and reasonable monthly expenses to determine your monthly disposable income. The higher your monthly disposable income, the less likely you are to be eligible to file for Chapter 7 bankruptcy. Once you file your bankruptcy paperwork, including the bankruptcy petition asking the court for relief and the schedules that list your assets and debts, an automatic stay takes effect and offers you immediate protection. The automatic stay prohibits most of your creditors from contacting you directly, and the harassing phone calls and letters will stop. Your creditors must instead communicate with you through your Chapter 7 bankruptcy trustee or your lawyer. The bankruptcy clerk will mail a notice of your bankruptcy case to the creditors listed in your bankruptcy paperwork. For most Chapter 7 bankruptcy cases, the only time you will need to appear in person before the bankruptcy trustee is at the meeting of the creditors, or the 341 meeting. This meeting typically occurs between 21 and 40 days after you file your bankruptcy case. During the meeting of the creditors, your bankruptcy trustee will ask you questions about your paperwork to confirm that the information is accurate and ensure that no changes to your financial situation have occurred. Your creditors are able to attend this meeting and ask you questions as well. The bankruptcy discharge typically occurs 60 days after the meeting of the creditors. All dischargeable debts that you include as part of your bankruptcy case will be erased when your discharge is granted. These debts will no longer be legally enforceable and creditors will not be able to sue you in an effort to collect. An example of a dischargeable debt in bankruptcy is credit card debt. However, some debts are nondischargeable, including child support obligations and student loan debt. The meeting of the creditors, referred to as the 341 meeting because of the Bankruptcy Code Section that specifies the meeting, is an informal meeting held shortly after you file for bankruptcy. The meeting of the creditors is held in every bankruptcy case, whether you file for Chapter 7 or Chapter 13 bankruptcy. In a Chapter 13 bankruptcy, what happens during and after the meeting of creditors can determine whether your Chapter 13 repayment plan will be accepted by the bankruptcy court.